Throughout Brisbane south pharmacist Paul’s 12 year career, he has seen the considerable impact digital resources can have on his daily practice. He believes that My Health Record is helping health professionals “have a more integrated and collaborative approach to health care moving into the future”. My Health Record first benefited Paul when he was helping a patient recently discharged from hospital. 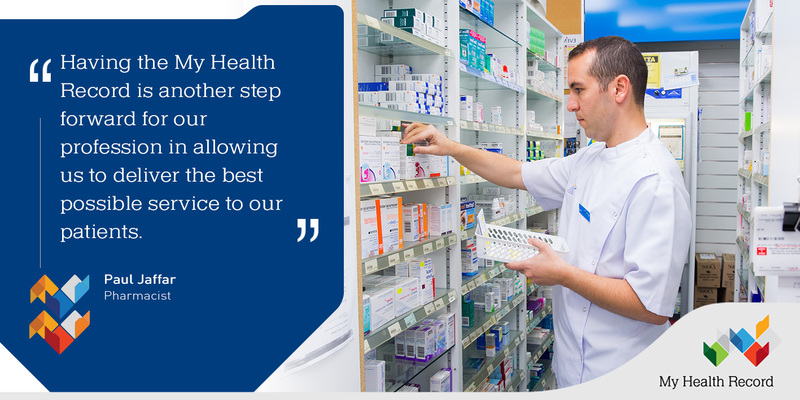 My Health Record equips pharmacists with a patient’s key health information, reducing time spent gathering information from multiple sources. For Paul, the My Health Record system fits seamlessly within his workflow. He recommends My Health Record for all community pharmacies.